Holocene palaeo-invasions: the link between pattern, process and scale in invasion ecology? 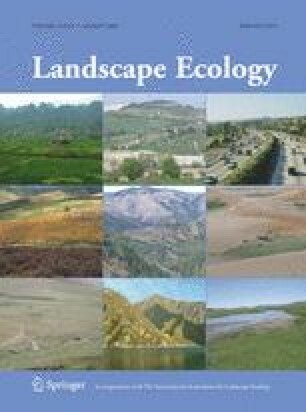 Invasion ecology has made rapid progress in recent years through synergies with landscape ecology, niche theory, evolutionary ecology and the ecology of climate change. The palaeo-record of Holocene invasions provides a rich but presently underexploited resource in exploring the pattern and process of invasions through time. In this paper, examples from the palaeo-literature are used to illustrate the spread of species through time and space, also revealing how interactions between invader and invaded communities change over the course of an invasion. The main issues addressed are adaptation and plant migration, ecological and evolutionary interactions through time, disturbance history and the landscape ecology of invasive spread. We consider invasions as a continuous variable, which may be influenced by different environmental or ecological variables at different stages of the invasion process, and we use palaeoecological examples to describe how ecological interactions change over the course of an invasion. Finally, the use of palaeoecological information to inform the management of invasions for biodiversity conservation is discussed. The authors thank two anonymous referees for their comments on the manuscript.